Hello again! Summer time is in full swing, and our shop is a busy little place. :) Summer vacation has lots of kid, especially on bikes, stopping in to visit us here, at the shop. We will have a bunch of new treats showing up over the next few weeks, and are excited to restock our shelves a bit. 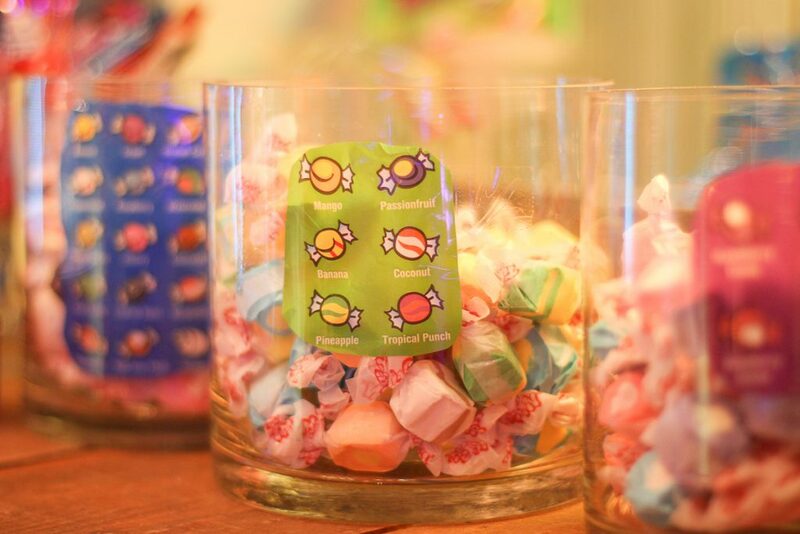 We <3 new candy around here–that’s for sure! If there’s ever anything you’re craving, and just can’t seem to find anywhere–let us know and we’ll do our best to get it on our shelves. 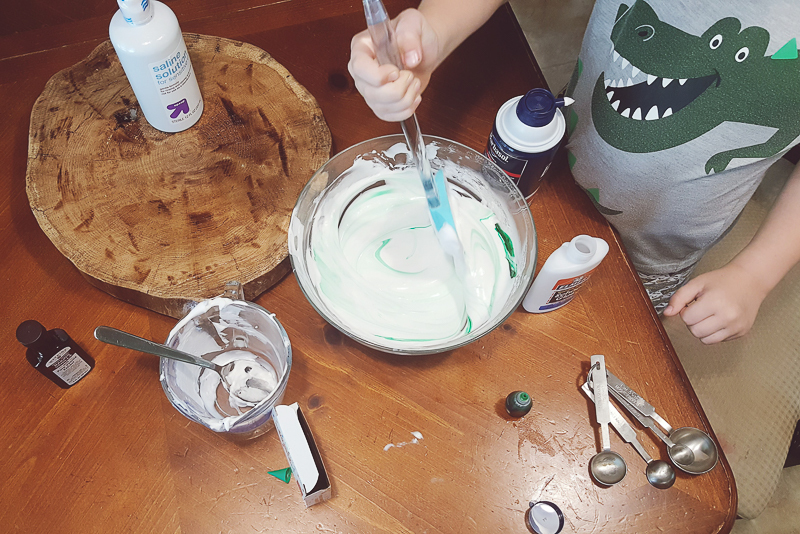 Today, on the candy blog though, we’re gonna delve into the world of slime. 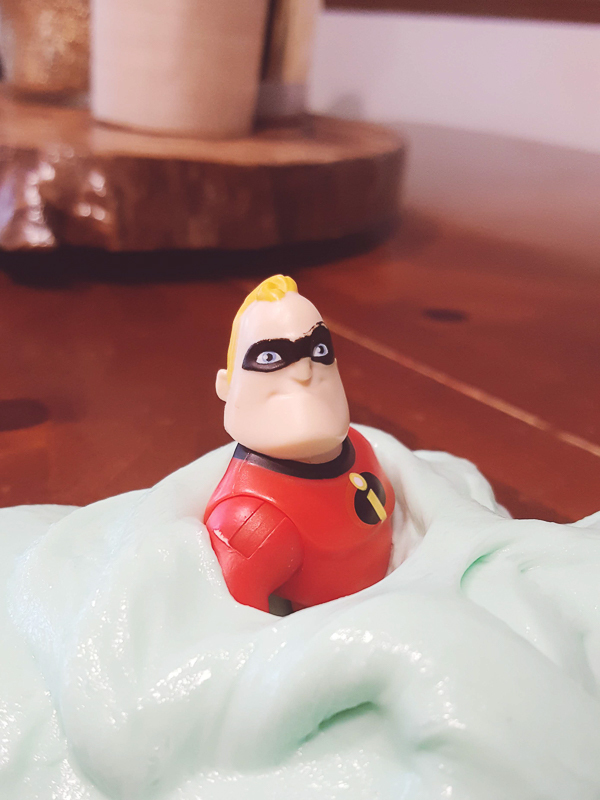 The slime we’re talking about today is what we’ve dubbed, ‘taffy slime’. When we play with it, it reminds us of what pulling taffy looks like! 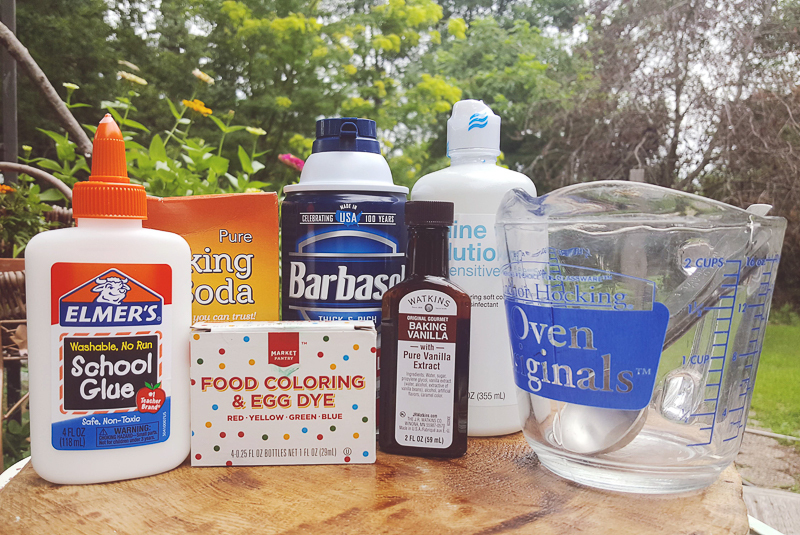 It’s a pretty simple recipe, and you don’t need Borax. 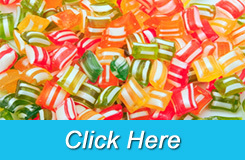 :) If you’re looking for more fun candy-themed craft projects, recipes, and ideas, check out the other blogs in the series HERE. 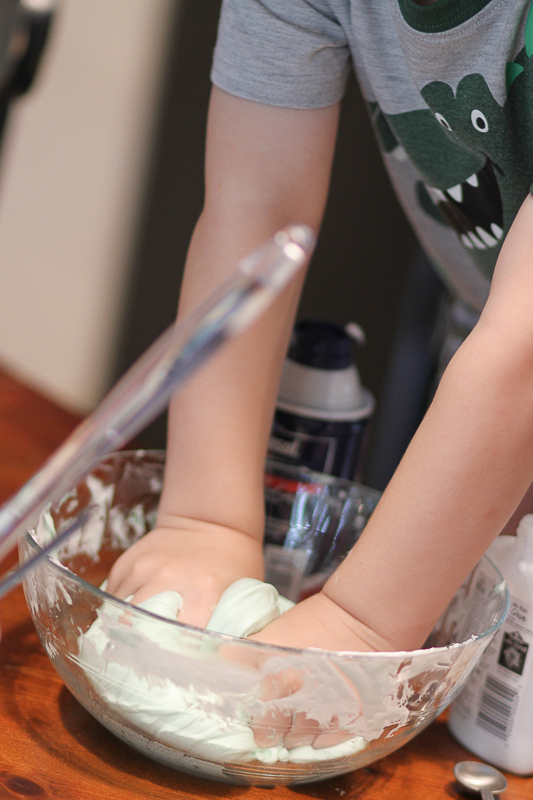 Mix 1 cup of white glue, and 1 teaspoon of baking soda in a large bowl. 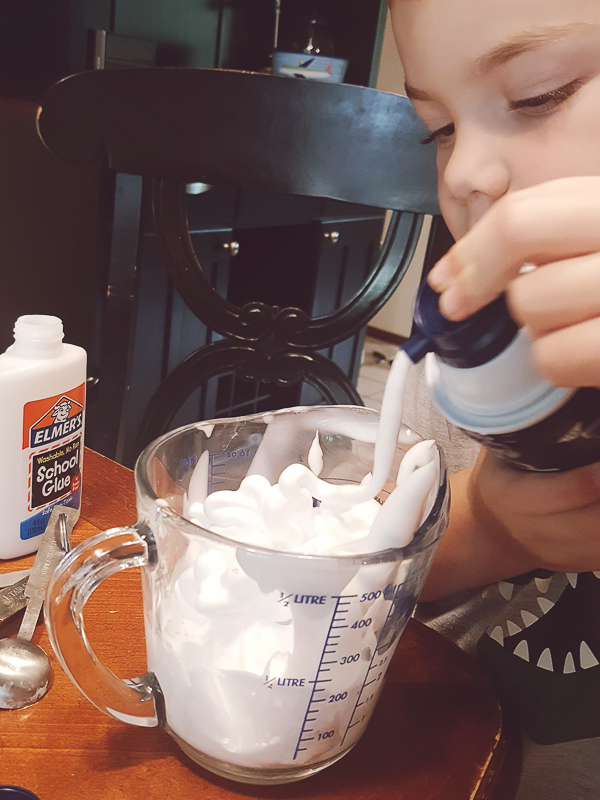 Add 1 cup of shaving cream to the bowl with the glue. Stir well! Add food coloring until the color you want has been created. Add 1-2 teaspoons of vanilla if you want a little more of a sweet, candy-like, smell. (This works BEST with an unscented shaving cream.) Then, add 2-3 teaspoons of Saline Solution to remove the stickiness. Knead the dough to work everything together. It will be sticky at first, but the more you work with it, the less sticky it will become. This is where the ‘taffy pulling’ feel comes in. 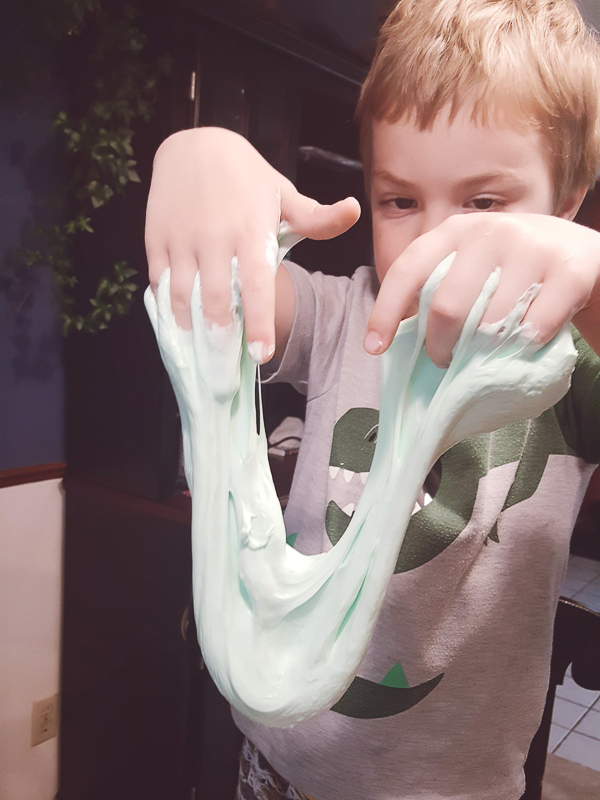 This slime turns into a tougher, not-too-sticky, blob of fun to play with. 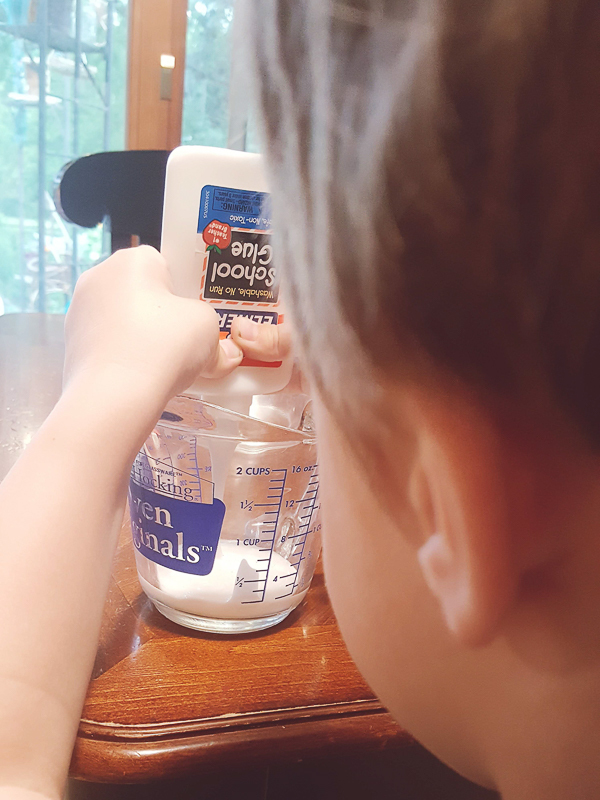 (This blogger has sensory issues and hates slime…this stuff though is great, and doesn’t stick all over everything.) If you make this, have fun! If you want to let us know about it–let us know in the comments. We always love to hear how it goes! Also…this slime is capable of trapping Mr. Incredible. At least according to the five year old. Mr. Incredible needed the help of the rest of the Incredibles to escape from this trap…it was a big deal. P.S. 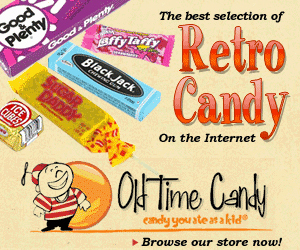 We did just get some new flavors of salt water taffy if you’re looking for some, btw. ;) It does go fast though, so stop in soon!